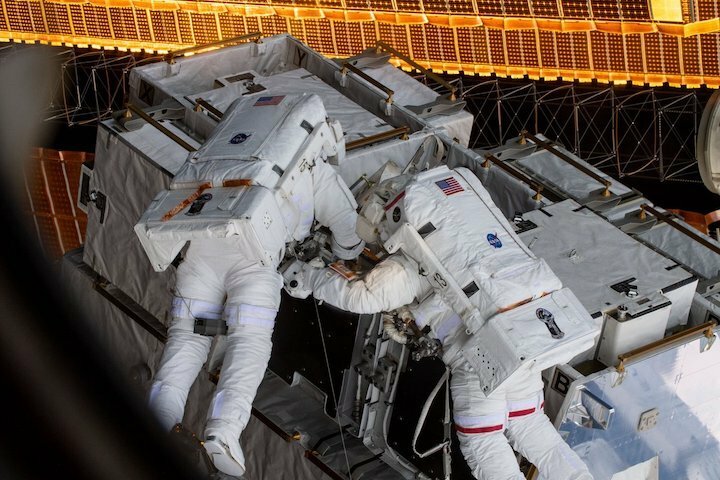 NASA astronauts Nick Hague (top) and Anne McClain work to swap batteries in the Port-4 truss structure during today’s spacewalk. 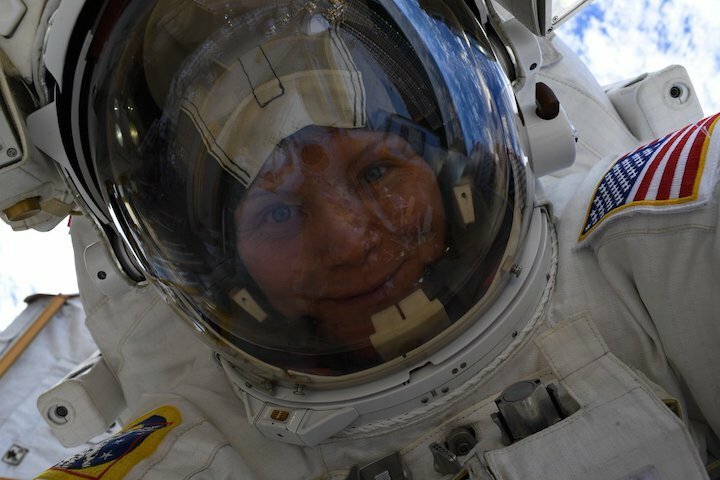 Expedition 59 Flight Engineers Nick Hague and Anne McClain of NASA concluded their spacewalk at 2:40 p.m. EDT. 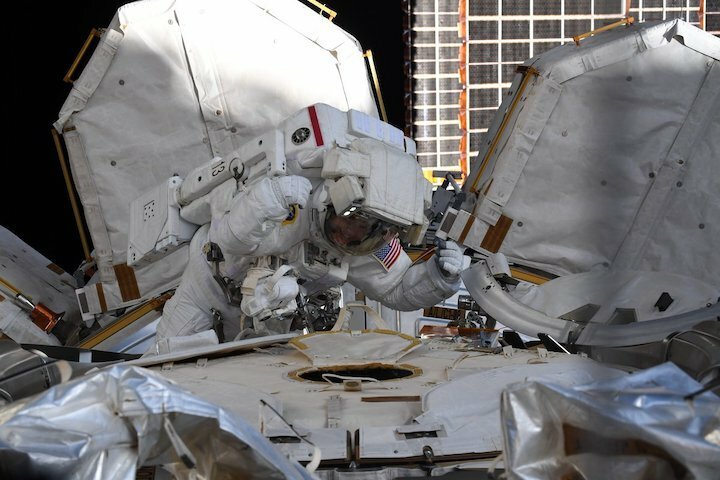 During the six-hour, 39-minute spacewalk, the two NASA astronauts successfully replaced nickel-hydrogen batteries with newer, more powerful lithium-ion batteries for the power channel on one pair of the station’s solar arrays. Astronauts were also able to accomplish several get-ahead tasks including removing debris from outside of the station, securing a tieback for restraints on the Solar Array Blanket Box, and photographing a bag of tools for contingency repairs and the airlock thermal cover that is opened and closed for spacewalks. These new batteries provide an improved power capacity for operations with a lighter mass and a smaller volume than the nickel-hydrogen batteries. 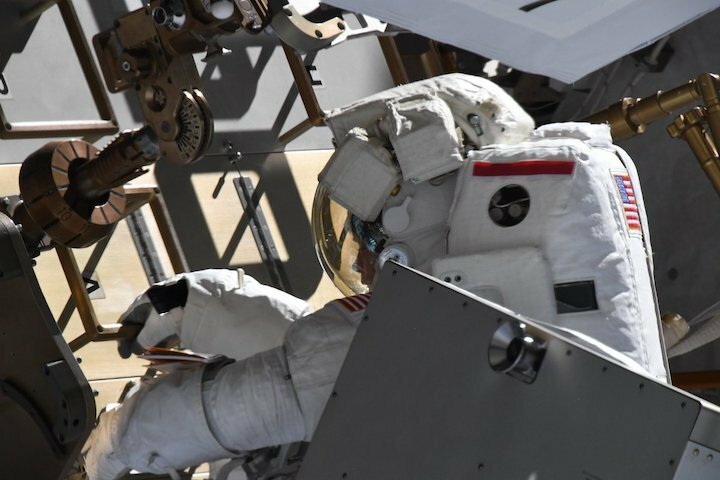 Next week, McClain and flight engineer Christina Koch are scheduled to venture outside on the March 29 spacewalk to work on a second set of battery replacements on a different power channel in the same area of the station. 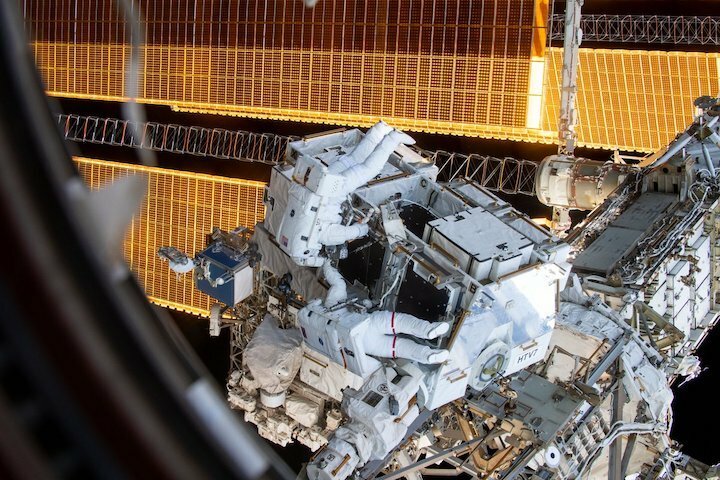 This would be the first-ever spacewalk with all-female spacewalkers. 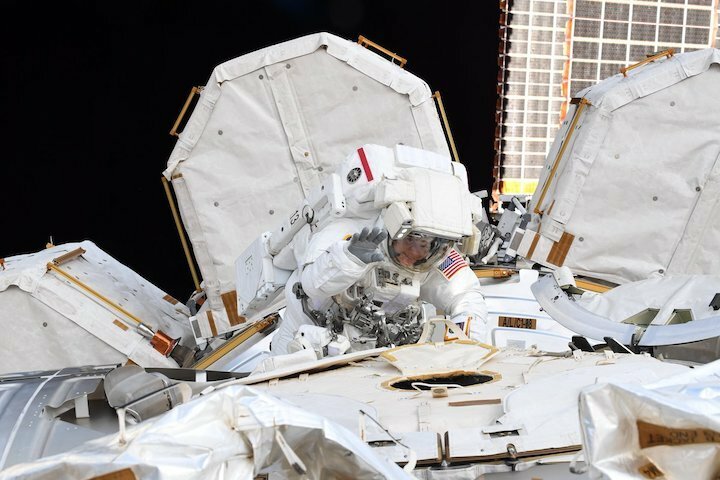 Hague and David Saint-Jacques of the Canadian Space Agency are scheduled to conduct a third spacewalk April 8 to lay out jumper cables between the Unity module and the S0 truss, at the midpoint of the station’s backbone. This work will establish a redundant path of power to the Canadian-built robotic arm, known as Canadarm2. They also will install cables to provide for more expansive wireless communications coverage outside the orbital complex, as well as for enhanced hardwired computer network capability. Space station crew members have conducted 214 spacewalks in support of assembly and maintenance of the orbiting laboratory. 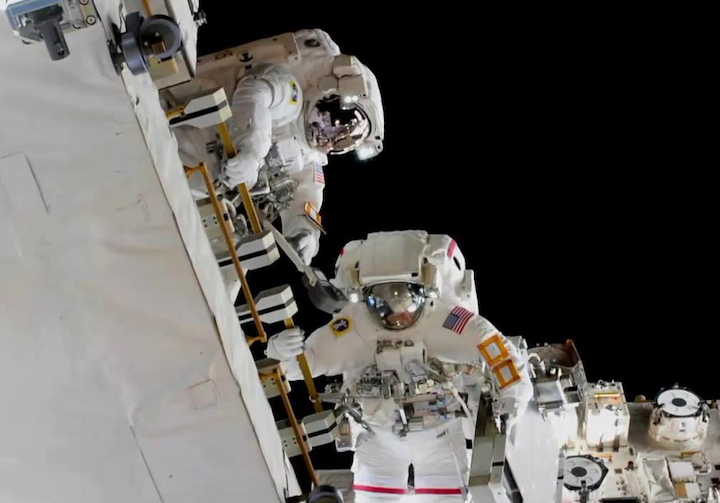 This was the first spacewalk for both McClain and Hague. Spacewalkers have now spent a total of 55 days, 21 hours and 39 minutes working outside the station.